Over the years, it has seemed like the SC has tried to extend the state’s duty to preserve not only historic or ancient religious monuments but also the sanctum sanctorum as well as deities. If so, this impinges on the secular character of the Indian state as the state has no duty towards the maintenance of religious places. India is a secular state with religion still playing a central role in our body politic. Many argue that the Western idea of secularism is alien to India and ideally, it should not have been incorporated it in the constitution. Even Prime Minister Narendra Modi, during the recent election campaign in Karnataka, was repeatedly invoking the name of Basavanna, founder of the Lingayat sect (religion). Keeping in view the all-important election, even during his April visit to Britain, he made it a point to personally go and pay tribute to the philosopher. On polling day, he was at the Janaki temple. Rahul Gandhi similarly has been visiting temples to prove his Hindu credentials and invoked Basavanna’s spirit in his press conference on the last day of campaigning in Karnataka. In Gurugram, Friday prayer is now an issue though it has been taking place for years without any objection from anybody. Moreover, the Supreme Court itself has held that a ‘mosque’ is not an essential feature of Islam and that Muslims can even pray in the open. We are indeed having our own ‘rush hour of God’. Unfortunately, this increased religiosity is devoid of spirituality and love for fellow human beings. Religious disputes routinely end up in courts. 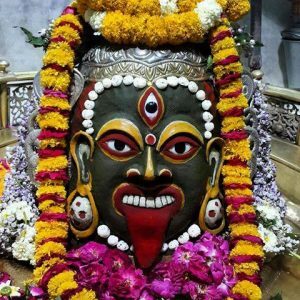 In an order last month, the apex court ruled that the government has a duty to maintain the deteriorating ‘lingam’ at the Mahatakeshwar temple in Ujjain. It also clarified that court has not interfered with religious ceremonies at the temple and is worried to see that Lord Shiva in the form of ‘lingam’ is in danger. Since consistency in judicial decisions is not considered of much importance any more, Justice Arun Mishra, who authored the detailed judgment, did not refer to Chief Justice Dipak Mishra’s judgment about restoration of religious places which were destroyed in the 2002 Gujarat riots in which he ruled that the state had no right to spend public funds on their restoration. Similarly, additional solicitor general Tushar Mehta, who had represented the Gujarat government in that case and was now assisting the court, did not argue – as he had done before – that state funds cannot be used for the maintenance and preservation of religious places. In any case, the Mahakaleshwar Temple committee, like other leading temples, has no constraint of funds. This author is all for the preservation of the ‘lingam’ at the temple. What concerns me, however, is the court’s reasoning and not the final outcome of the case. Yes, it is the government’s responsibility to preserve and maintain all historical monuments which are more than a century old. But then the Kalyan Singh government, in spite of its affidavit in the apex court, failed to protect the 400-year-old Babri Masjid and those who were responsible for such vandalism have not yet been held criminally responsible. These double standards are responsible for adverse comments against us in international reports on the state of religious freedom in our country. 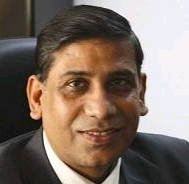 On May 2, 2018, the two judge bench of Justice Arun Mishra and Justice U.U. 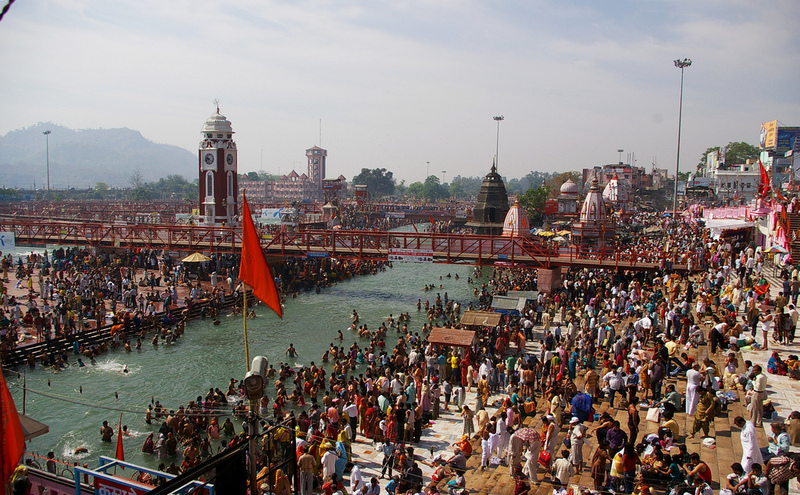 Lalit delivered its 117-page judgment on the preservation of Mahakaleshwar temple at Ujjain. As brevity in judgment writing is something Indian judges do not care much about, we not only have mythology in the initial nine pages but also in the full text of a 66-page expert committee report. The judgment does not tell us who Sarika is, the petitioner in this case. It seems, as a security measure to protect the ‘lingam’, offerings were banned in 2006. The appeal is against an order of the divisional bench of the high court. The court took notice for the preservation of Shiva in the form of ‘lingam’. Even the extraordinary jurisdiction of the Supreme Court ‘to do complete’ justice under Article 142 of the constitution was invoked to get guidelines issued for the preservation of the ‘lingam’. The court explicitly observed, even before mentioning any argument, that the “Mahakaleshwar Jyotirlingam has so much importance for spiritual and other gains, there is a constitutional duty to protect it as envisaged in Article 25, Article 26 read with Article 49, at the same time there is a fundamental duty under Article 51A of the Constitution to promote harmony and the spirit of common brotherhood….” Most of the fundamental duties mentioned here are not – strictly speaking – relevant, as deterioration of the ‘lingam’ has neither created any communal tension nor adversely affected common brotherhood or India’s composite rich heritage. The duty to strive for excellence was certainly irrelevant to the issue before the Supreme Court. In any case, these fundamental duties pertain to the citizen and not the state and are basically non-justiciable. The court was certainly right in saying that “there is a pious purpose of all religious activities, no religion breeds hatred.” The case again was not about any religious conflict at all. Similarly, the issue of religion being a system of beliefs which an individual is entitled to believe was not under dispute. Believers are well within their right to believe the mythological stories about the origin of the ‘lingam’ and can have reverence for it. No one has the right to interfere with their belief system. In fact, all possible facilities should be put in place to facilitate their freedom to worship the ‘lingam’ in accordance with ancient rituals. One reason for the erosion could be the pouring of chlorinated water – nearly 25,000 litres a day – in addition to about 80 pundits from 16 Brahmin families massaging the ‘lingam’ on a rotation basis, using bhat sringar, bhang sringar etc. Milk and other offerings could be accounted in tonnes. Almost every visitor touched the holy shrine and often rubbed it during prayers. A July 7, 2014 report about preservation was placed on record which had banned offerings of sugar, ghee, milk and curd. The court directed the temple committee to prepare the purest puja material. Similarly, the temple committee was told to improve its gaushala so that unadulterated milk products are prepared in the temple itself. Another version recorded in the judgment says that Brahma lied about having reached the end of ‘Jyotirmayand’. Vishu accepted his superiority but since Brahma had lied, he is not worshipped whereas Vishnu is. 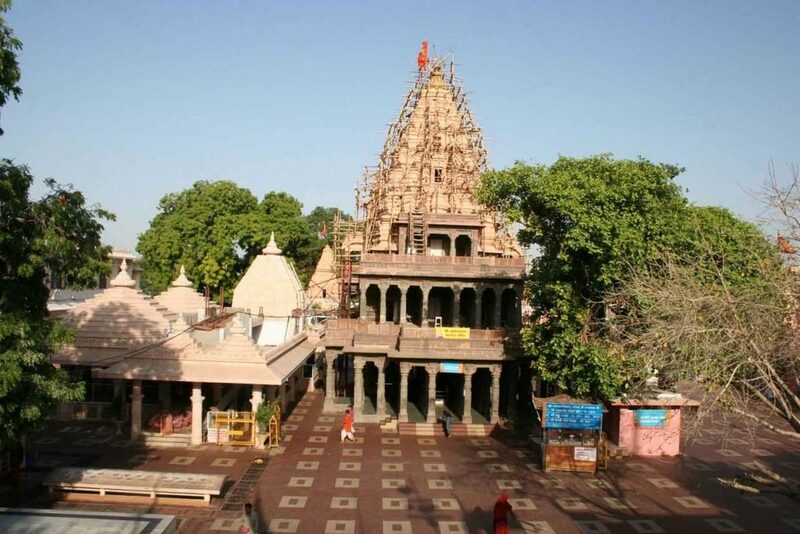 The Ujjain Jyotirlingam is the oldest of 12 Jyotirlingams in the country and the only one facing south. Thus, ideally, the government should not spend money on religions or religious places. But the reality of our state is otherwise. Our governments indeed spend too much on religions and do not care about constitutional prohibition. To justify governmental expenditure on the maintenance and preservation of temple, Justice Arun Mishra preferred to quote Justice Katju’s judgment of Praful Goradia v. Union of India (2011) wherein the apex court had upheld the constitutionality of the Haj subsidy on the ground that if the state spends a small amount on religions, such an expenditure will not be violative of Articles 14 and 15 of the constitution. The court said that Article 27 shall be hit only when substantial state funds are used for religious purposes. It is surprising that a learned judge overlooked Justice Aftab Alam’s subsequent judgment in Union of India v. Rafique Sheikh Bhikan (2012) where Supreme court had directed the government to phase out Haj subsidy over a period of ten years. In fact a few months back, the Modi government withdrew Haj subsidy. The subject was widely debated and discussed in the print and electronic media. Similarly and surprisingly, Justice Arun Mishra also overlooked the 2017 judgment of Chief Justice Dipak Mishra. In State of Gujrat v. the IRCG (2017), the Supreme Court overturned a Gujarat high court judgment ordering the Gujarat government to reimburse the expenses of religious places destroyed during the 2002 riots. The Chief Justice of India tried to dilute the state’s failure in discharging its duty to protect religious places by saying the destruction was caused by ‘mob fury’. Thus, even when religious places are destroyed, the state is not bound to compensate as compensation can be paid only if Right to Life and Personal Liberty under Article 21 was violated. But no compensation is to be paid if any other right is violated. One was surprised to see that a two judge bench headed by CJI in this case did not follow the nine judge bench judgment of the apex court on privacy that was delivered only one week before (August 22, 2017) in which the court had unanimously rejected the straitjacket compartmentalisation of fundamental rights. After the privacy judgment, Articles 14,19, 21 and 25 are now to be read together. It seems the Supreme Court is probably trying to extend the state’s duty to maintain or preserve not only historic or ancient religious monuments but also the sanctum sanctorum as well as deities of other religious places. If this is so, it will clearly impinge on the secular character of the Indian state as the state has no duty towards the maintenance of religious places. One hopes the judgment will be used by the government to take remedial steps for the preservation of all historic places which have religious or historical significance without preferring some over others. Faizan Mustafa is vice-chancellor, NALSAR University of Law, Hyderabad. The views expressed are personal. Views expressed are personal.